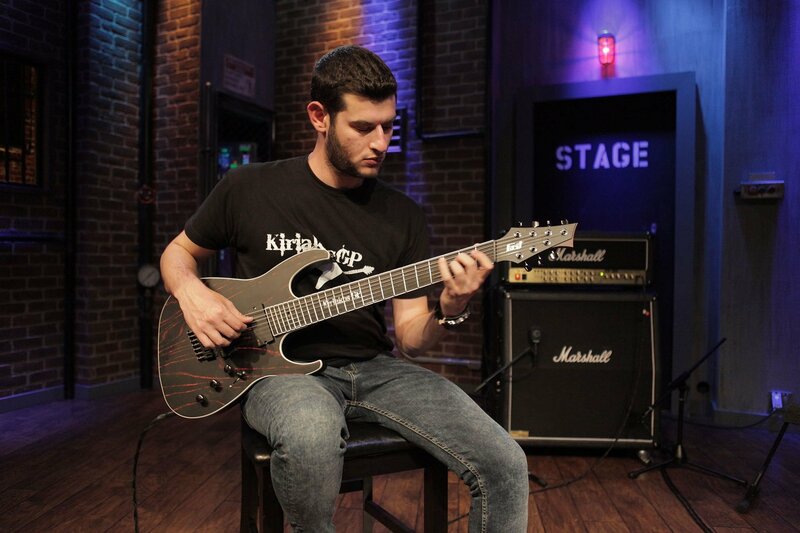 Kiriakos Mpouloumpasis also known as Kiriakos GuitarPower was born in Ioannina of Greece in 1989. His studies in music began when he was 8 years old. A few years later he discovered his love for the electric guitar. His talent has been revealed by taking part in many guitar festivals and competitions. His background includes a lot of awards, from which the most important was in 2013 from Andy James Guitar Academy. With an alloy of influences from Carlos Santana, Metallica, Black Sabbath, AC/DC in his younger years and later influenced from rock and metal guitarists, as Zakk Wylde, Jeff Loomis, Andy James and others, he composes his own music creating his own personal style, while studying gypsy jazz and fusion guitar and guitarists. Exceeding the unfavorable conditions that prevail in the Greek music industry, he chased his dream. As a result, he is being sponsored by very important companies, such as the EMG, as one of the best electric guitar players. His last accomplishment is his new song ‘’Running out of time’’ which each one of us should listen to and support!